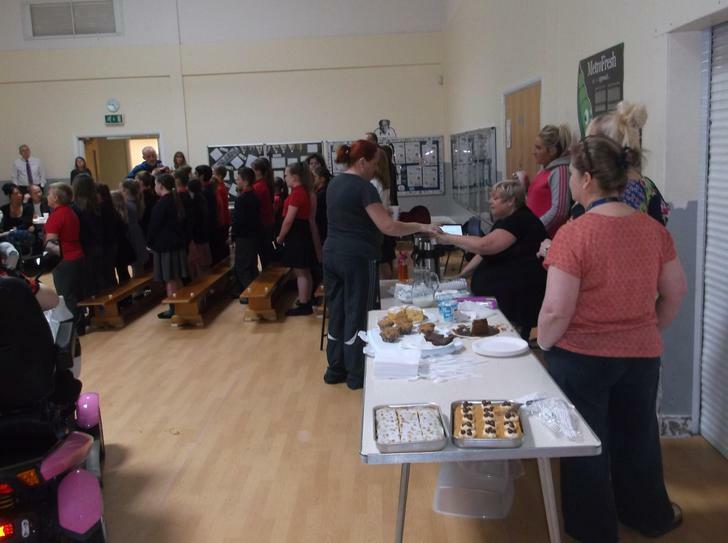 Cake, Coffee and Choir - The performance. 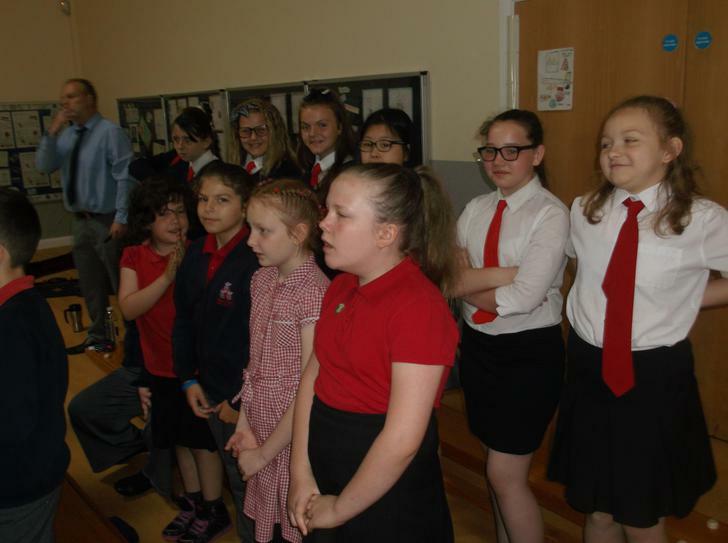 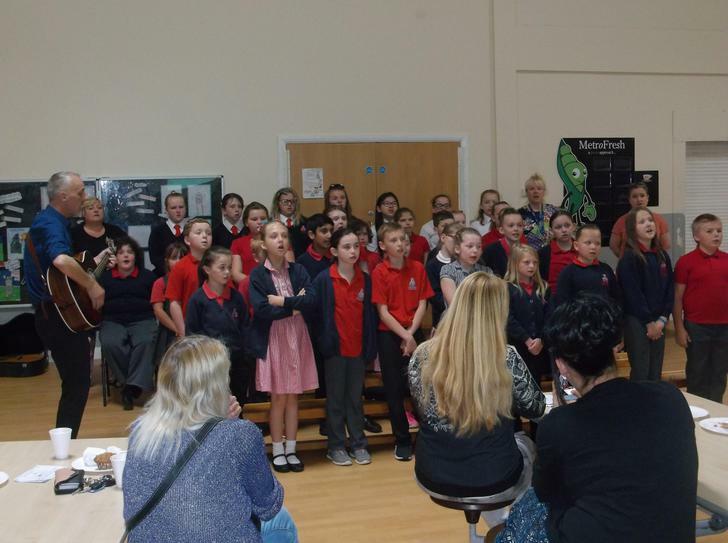 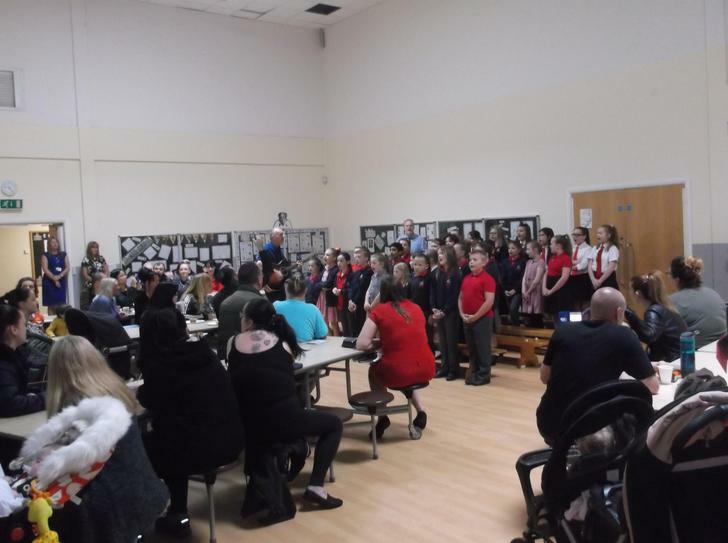 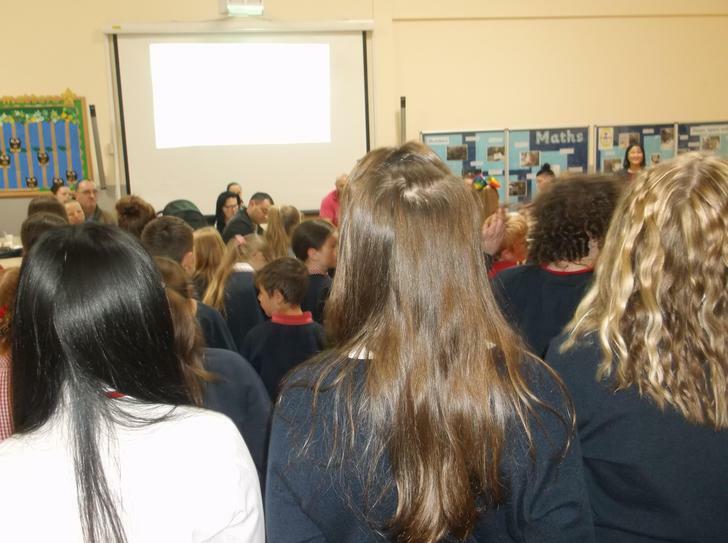 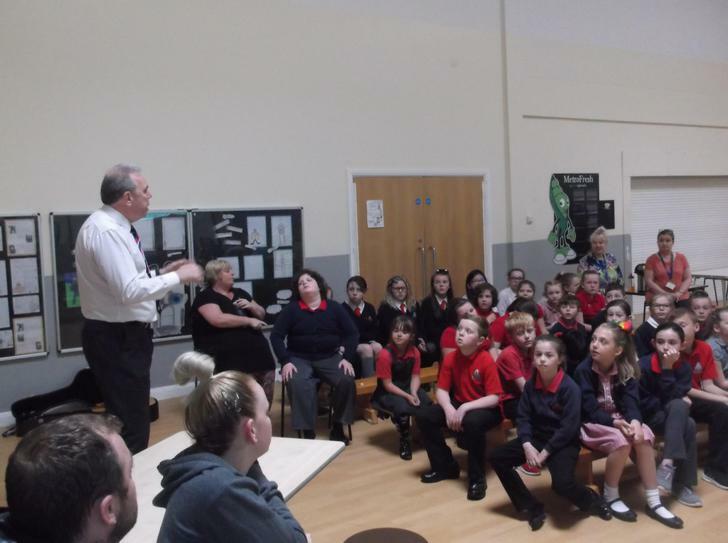 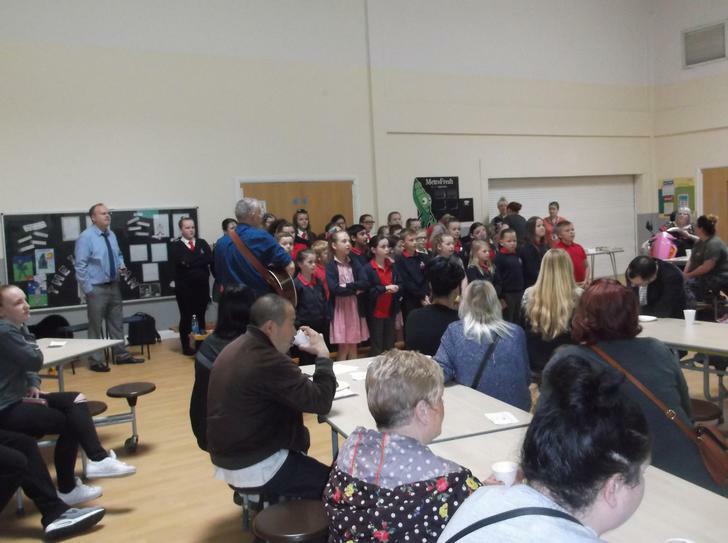 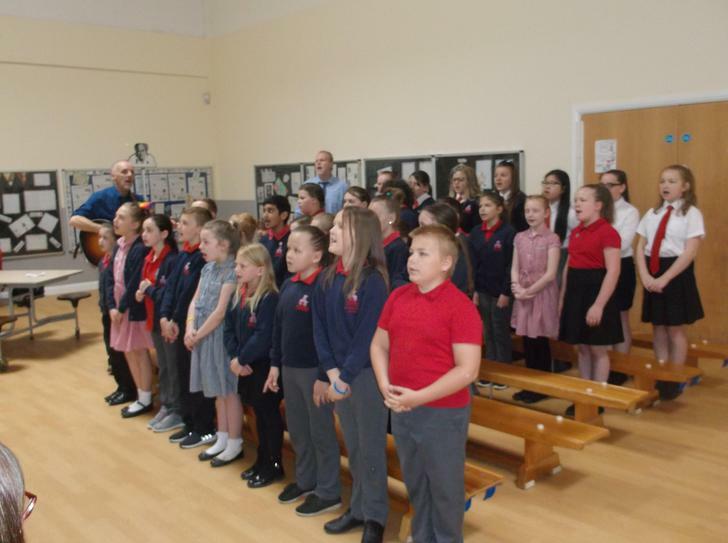 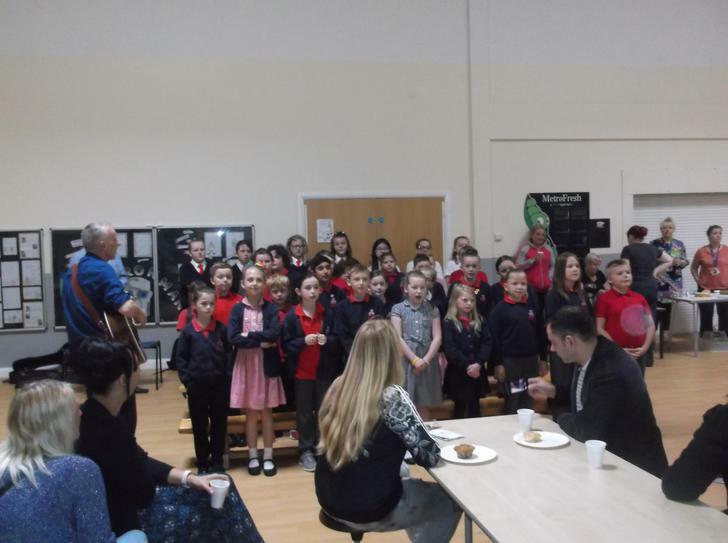 The school choir entertained friends and family in a coffee, cake and choir morning. 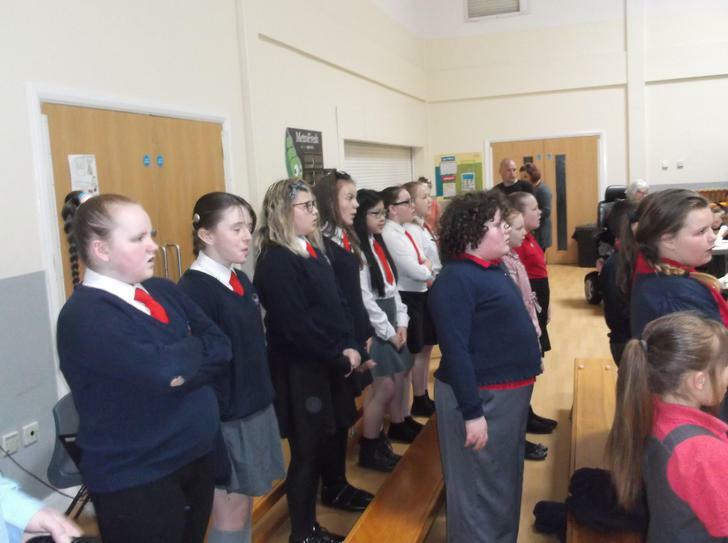 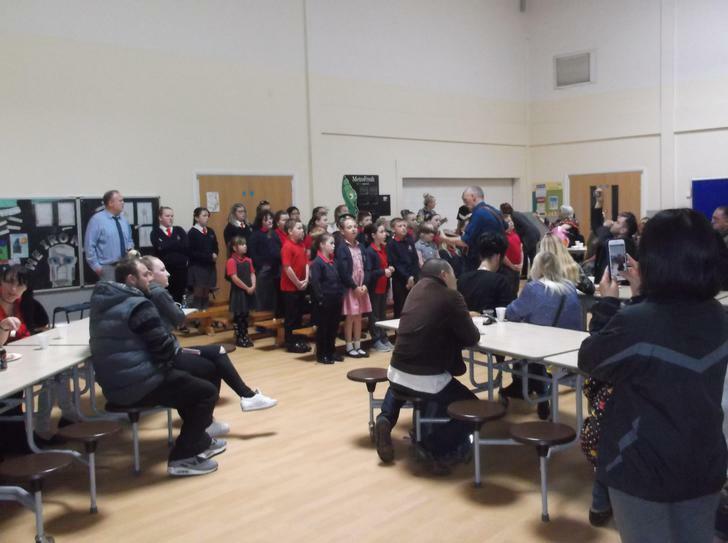 Whilst the adults were indulging in delicious school staff homemade delicacies and hot tea and coffee, the choir enthusiastically sang for an hour. 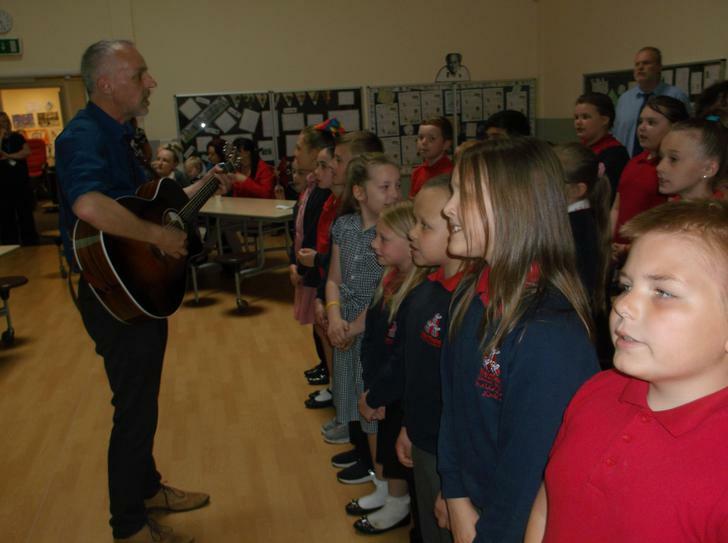 The host, raconteur and musician, Mr Price, led the choir with classic songs from the 1960s to pop anthems of today. 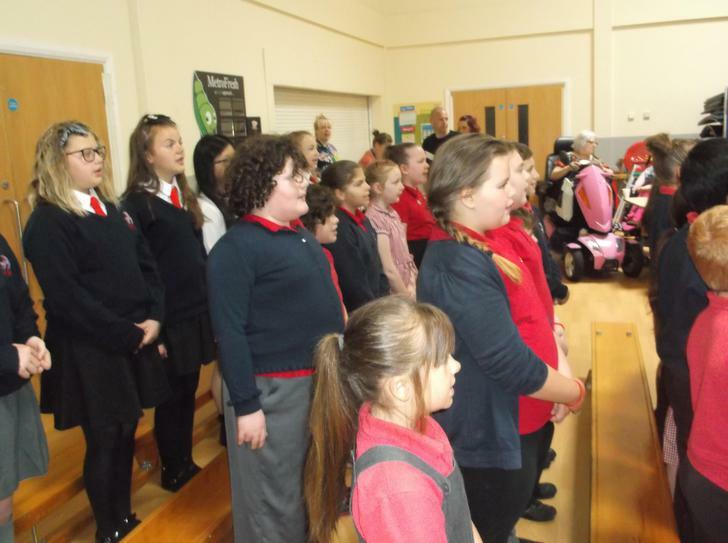 Two encores were required to satisfy the demanding, appreciative and knowledgeable audience.